Professional Auto, Truck, Fleet & RV Repair - We do it all! 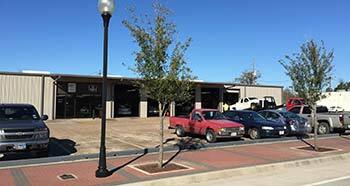 Baker Auto Repair is conveniently located in the downtown district of Beaumont, TX and has been serving its customers for 25 years. Shop owner Tim Baker and his team are long-term, experienced technicians. Therefore, you can expect the highest standards in full service auto repair. Beaumont drivers know that we treat our customers as part of our family. At Baker Auto Repair, you are not viewed as “just another customer”, and your car is not treated as “just another car.” We are dedicated to providing both you and your vehicle with excellent service. We offer you free shuttle service* and free wifi in our waiting area while our expert team services your vehicle. As our customer, we value your investment in your car as much as you do. For your convenience, Baker Auto Repair provides a 2 year / 24,000 mile warranty on our services. You can expect great value for quality car repair and know that your vehicle is safe in our hands. Our motto is “we do it all” because we fix problems that other shops cannot fix. Our Beaumont auto repair technicians are experienced in auto repair for all makes and models, foreign or domestic. We service individual vehicles and RVs as well as commercial fleets, and we offer comprehensive tire services to ensure your vehicles runs smoothly on the road. Baker Auto Repair is associated with ASE, AAA Auto Repair Center, BBB, and Napa Auto Care. We take pride in keeping you and your car safe while on the road. Give us a call today to schedule an appointment and see why Baker Auto Repair provides the best auto service in Beaumont! For over 25 years, Baker Auto Repair has provided quality and affordable auto service to its customers in Beaumont, TX. 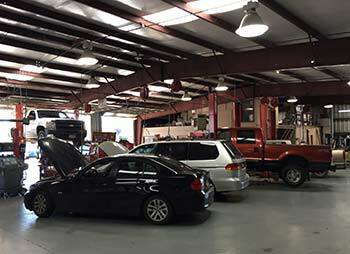 Auto repair services at our shop are sought out by customers in the surrounding areas of Lumberton, Port Arthur, Vidor, and Nederland because we are one of the largest, independent auto repair facilities in the area. As local residents, our team of ASE certified technicians is not only committed to providing you with the best quality service, but is also dedicated to preserving and supporting the downtown revitalization in Beaumont. Having worked in the auto repair industry since his teenage years, shop owner Tim Baker knows the importance of quality auto service and providing the best value at Baker Auto Repair. Most of our employees have worked at our Beaumont auto repair shop for over 15 years and have built long-lasting relationships with our customers. It is important to us that you are satisfied with our work, so we value listening to and understanding your needs. We know you want top-notch service for your vehicle, and our team will ensure we exceed your expectations.